As we designed our vision for Pocono Springs, we were listening to families. Families want to provide their children with a full-season summer camp experience, and more than ever, they also need time and flexibility for family activities, specialty camps, and other summer fun outside of camp. Pocono Springs is a family of our own, and we recognize and value the importance of family and leisure time over the summer – our 5-week session allows for exactly that! Pocono Springs is proud to be shaping summer camp around its families and their schedules. 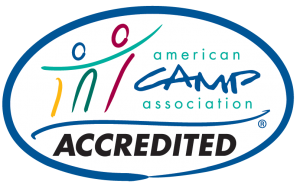 We hold the distinction of America’s only traditional 5-week summer camp, and in five weeks, campers get the best that camp has to offer. Plus, our program accommodates nearly every school system, so it fits into summer schedules for more campers than ever from all areas of the country and world. Five weeks is the perfect length of time for campers to get the best that camp has to offer out of their summer. Campers can explore many new activities, while having the time to invest in developing new skills or improving upon old ones. Five weeks also allows time for large camp events such as Tribals, our version of Color War, sporting events, and theater shows. Most importantly, five weeks at Pocono Springs provides the ideal amount of time to experience personal success, build confidence and independence, and create lifelong friendships and lasting memories!